Terral has a natural talent with horses, especially young horses and difficult ones--here is his story. Terral Hill has been riding horses since he was a year old, sitting in the saddle in front of his mother. He has handled and cared for horses all his life, and started his formal education training horses with Terry Wilson, a Parelli certified natural horsemanship trainer and colt starter. Terral learned from the ground up with Terry, starting horses naturally, on the ground and progressing to the saddle. Terral worked for Gudmar Petursson, learning the special techniques and methods specific to the Icelandic horse. He started young horses for Gudmar, and started learning and training the gaits of the Icelandic horse. Terral also worked in Iceland starting young horses, and is well known both in the United States and Iceland for his natural horsemanship techniques starting horses and gait training. Terral began his career in Iceland working at one of the biggest breeding farms Fét for Anton Páll Nielson. At Fet, Terral passed a test judged by Eyjolfur Ísólfsson, Þorvaldur Árni, and Anton Páll Nielson qualifying him as a young horse trainer of Icelandic horses. Later he spent a year working for two of the most respected competitive riders and trainers in Iceland Hulda Gustafsdóttir and Hinrik Bragason. 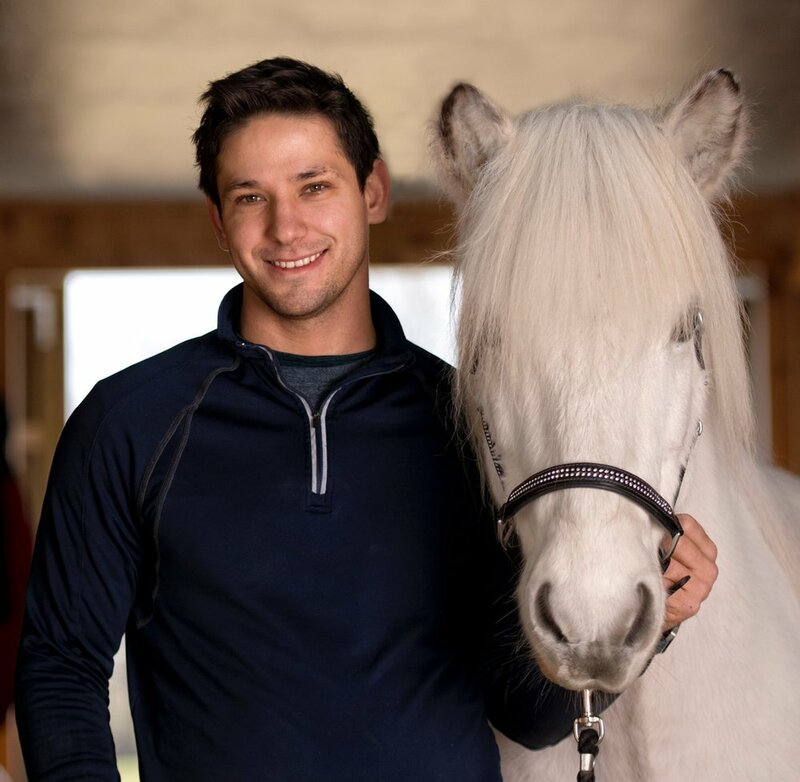 Throughout his time working for Gudmar and in Iceland Terral also mastered Icelandic horse farrier skills and is recognized for his abilities to create a healthy balanced foot while encourage optimal performance. Since his return to the states Terral has been the highest-ranked rider in Five Gait (2015 and 2016) in the U.S. Icelandic Congress National Ranking and has qualified multiple times for the U.S. Icelandic Horse World Championship Team. In addition he is one of the main performers in the fast-paced and fiery Knights of Iceland Show Team working in particular training and preparing the fire and sparkler acts. When not traveling and teaching clinics or competing Terral is the primary trainer and instructor alongside Carrie at Taktur.